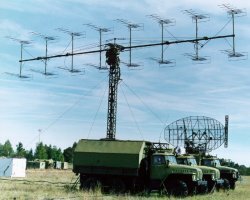 The P 18 (Russian designators: 1RL131 “Terek”; kyrillic: 1РЛ131 «Терек») is a very fast moveable radar unit in the VHF- frequency range, constructed into two all-terrain trucks (Ural) with two supporters. This radar is used predominantly in the East European space and in the third world to the target assignment for anti- air- missiles (“Strela” and “Igla”). But it is also used for larger rocket systems coupled with a height finder as a direct target assignment e.g. for SA-2 “Guideline”. The transmitter consists of an approx. 2 m long coaxial cavity resonator with a slice triode vacuum tube (GI - 19B) and feeds an antenna group of 16 broadband Yagi- antennas. The transmit- receive- duplexer consists of TR- tubes (glow discharge of electricity through a gas-filled electron tube) and pin- diodes. 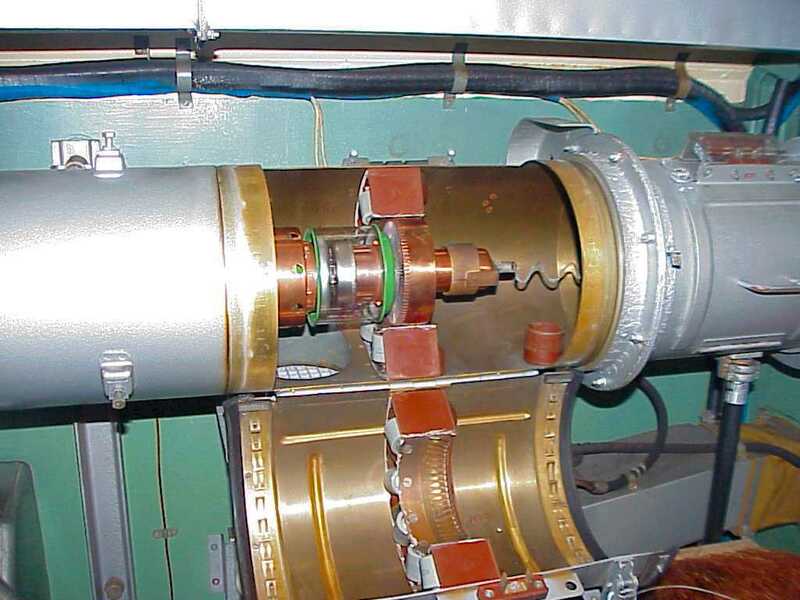 A mechanical system can change the linear expansion of this coaxial cavity resonator on four prepared and especially tuned working frequencies. The automatic frequency control follows the more constant receiver frequency. 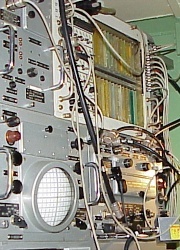 The dating from an older radar (P–12) and constructed with vacuum tubes receiver has got a sensitive transistorized preamplifier. 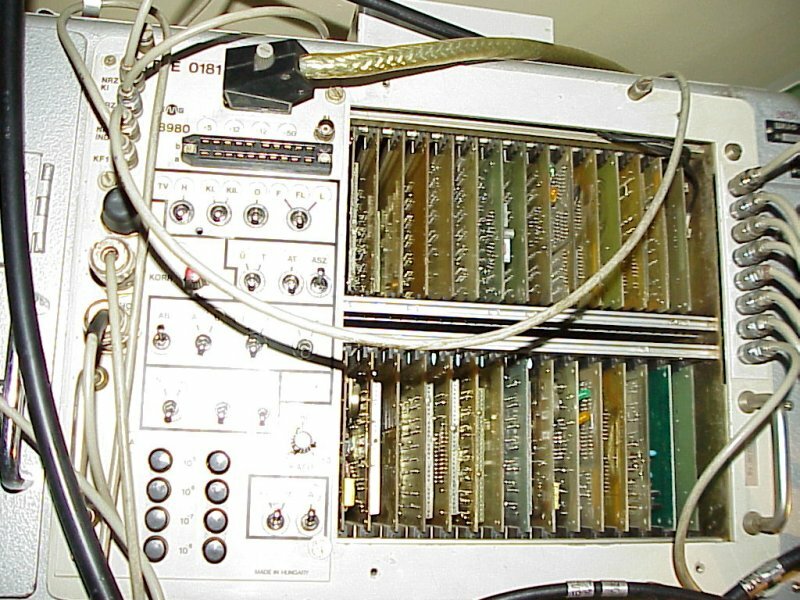 A Moving Target Indication (MTI- system; Russian: система селекции подвижных целeй СПЦ) works with two potentialoscopes as a memory block. With his expensive wind compensation this system can be used successfully also against clouds from disguising reflectors. These memory tubes are used against asynchronous jammer in the amplitude channel. The operating system provides a fully remote control by the refitting with field effect transistors as fast switches. 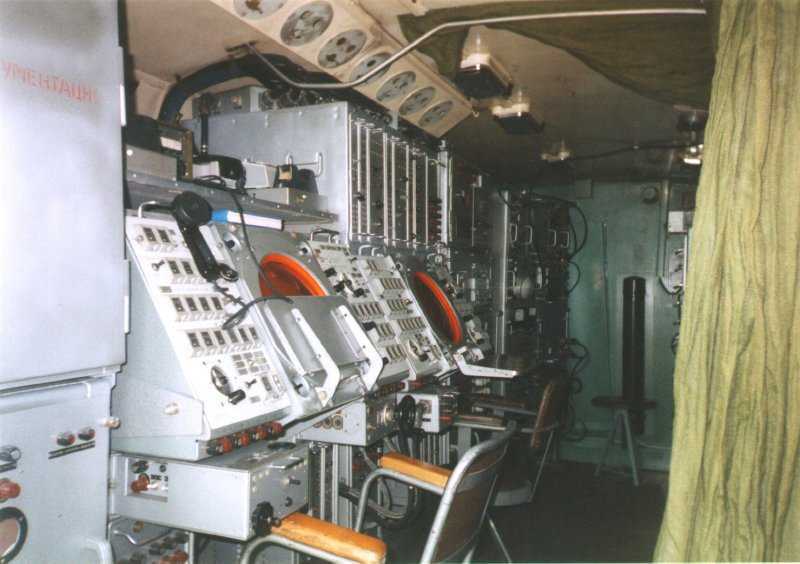 Later versions which, however, weren't used in former GDR any more got a digital MTI-system which also is offered as a retrofit kit internationally. The complete synchronisator, the block of the potentialoscopes and the block of the signal processing are replaced by the new system. The indikation of the targets happens on two PPI-scopes by which one can be removed with all remote control possibilities up to 500 meters. Also there is an A- scope for maintenance purposes. Except for the older MTI-system and the large-sized cathode ray tubes the other signal way is transistorized. The antenna control is a servo-following system with various control input ports and can work with other radar stations therefore synchronously. These radar stations then can in addition or instead of the own echo signal represent the video of the P-18. The evaluation of the stranger video signals also can as well in happen to the P-18. Part of the P-18 is always a secondary radar unit. This is either a quite simply encoded “NRS-12” or a more expensive system “Parol”. The “NRS-12” is located into the P-18- container, the system “Parol” needs one additional truck with a additional station wagon. Opposite the other radar wavebands the VHF frequencies have the advantage that there aren't any Antiradarmissiles for this frequencies. An antenna with the necessary beam width for this frequency has very large geometric extents and then this antenna isn't transportable with air to ground missiles. At these frequencies, at the earth's surface, in addition, the diffraction of the electric magnetic waves has a larger importance than at other frequencies. The P 18 “looks” about 5 to 10 % further “around the corner”, than other radar units of higher frequency with much more performance.